Home tag TAG: 10 Makeup Products I would Repurchase! I saw this fun tag going around YouTube on 10 Makeup Products I Would Repurchase. Essentially, these are the top 10 items I would repurchase if all my makeup was burnt in a fire, lol. I tried to mix it with high and low-end to give you all some options. These 10 makeup items would be great for an essentials makeup kit as well. Check it out! Before I get into the products, I took this tag to mean if I lost all my makeup and I had to start over, these are the products I would purchase. They are mainly neutral, must-haves which can go with many looks. The key is to start with the basics and then add fun colors later. 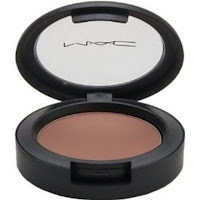 I recently added MAC Gingerly to my makeup collection and it is a great color that goes with every makeup look. Wet N Wild in Heather Silk is another awesome blush and it's super affordable. Contouring is a must in my book. My HG product is MAC Blunt blush. 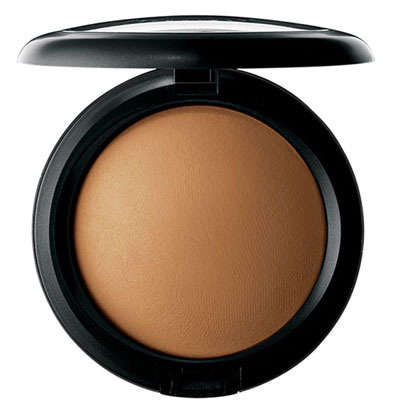 It's a great matte bronzing/contour color. Aquaphor is seriously a must-have for me. I will never stray. It works better than any other lip conditioner I've ever tried. If I had to pick a color product, I'd go with MAC Viva Glam V Lipglass. It's a mauve tone with gold shimmer that looks good on everyone. I always go with classic black liner. I've got to have liquid and a pencil to do the job. Revlon Colorstay Liquid Liner in Blackest Black is a classic favorite of mine, and Milani Liquif'Eye pencil is an affordable amazing, smudgy black pencil. 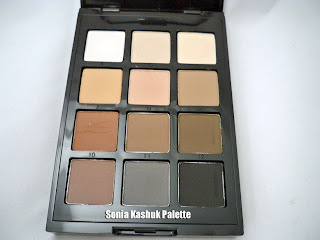 If I had to start out with any eyeshadow palette - it would be the Eye on Neutral by Sonia Kashuk. It's got a perfect range of neutrals and they're all matte - my fav! I would also recommend Wet N Wild's Vanity Palette but i'm not sure if that's limited edition. I will say that you should add some shimmer to your eye look for balance so keep that in mind as well. Tarte EmphasEyes Brow Pencil is definitely my go-to. Ben Nye Neutralizer Cream Crayon is my corrector of choice and i'd pair it with Jemma Kidd Concealer Duo in Medium which has both a yellow highlight shade and a skin toned concealer. Palladium Herbal Foundation is always a favorite - you can find it at Sally Beauty. I also could live with just using Sonia Kashuk Tinted Moisturizer - it's great for everyday and the coverage can be built up for evening. You gotta have a powder to set your foundation. I choose MAC MSF Natural in Medium Dark because I know it's going to work without any problems - the shade is great and the semi-glowy finish is super flattering. Tag, you're it! Let me know some of your must-haves in the comments below! that sonia kashuk palette looks gorgeous! I'm a single mom and don't have much money to spend on makeup, so I have to keep it cheap. My FAV eyeliner is e.l.f. Creme Eyeliner, and you can get it at Target for about $2! 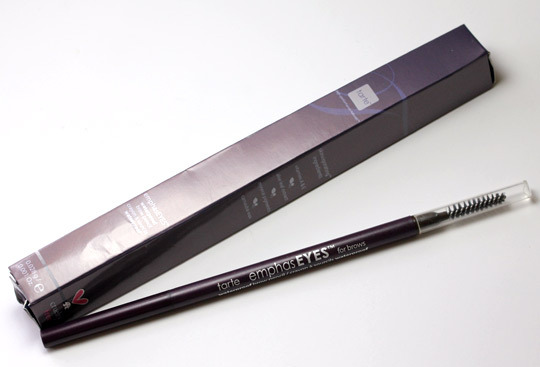 It comes with a small brush too, which is great to toss in my bag or clutch for touch-ups!